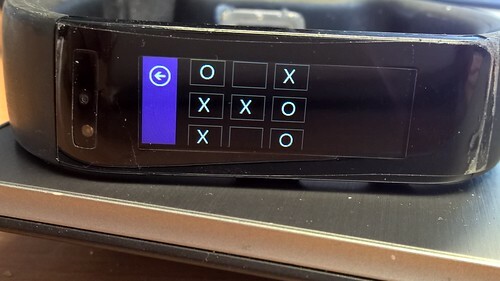 There aren’t many games for the Microsoft Band but good one is Tic Tac Toe (or noughts and crosses as we would call it in the UK). You can play with a friend or on you own against the computer. The app has been updated with a new UI on the Phone and support for the new Microsoft Band 2. I don’t know what change the Band 2 requires but it does have a slightly larger screen so it could be taking advantage of the new display. It’s a fun game and free for the Microsoft Band from the Windows Store.